Located in dazzling downtown Shanghai, two blocks from the magnificent Bund waterfront, The Westin Bund Center, Shanghai is conveniently situated in a neighborhood of luxury-brand shops and celebrated restaurants. 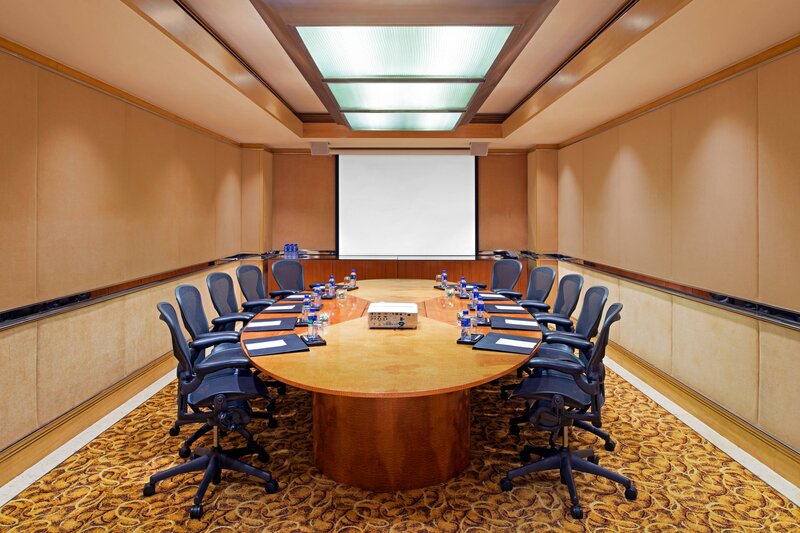 Enjoy easy access to major business districts as well. We&apos;ll support your well-being while on the road by jump-starting your day in our beautiful heated pool or the WestinWORKOUT® Fitness Studio. Enjoy delectable Eat Well breakfast buffets and surrender to pampering treatments in the ISpa Shanghai. 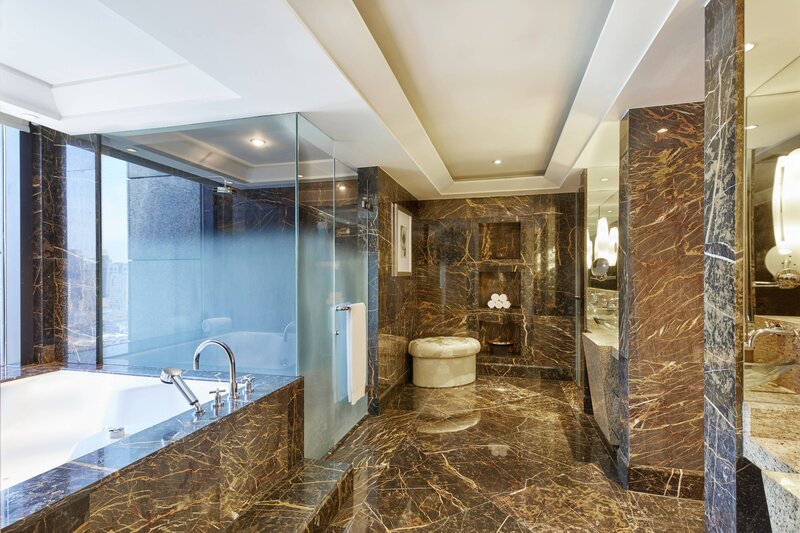 Two architecturally dazzling 26-story towers with 558 rooms and suites surround you in sumptuous style. 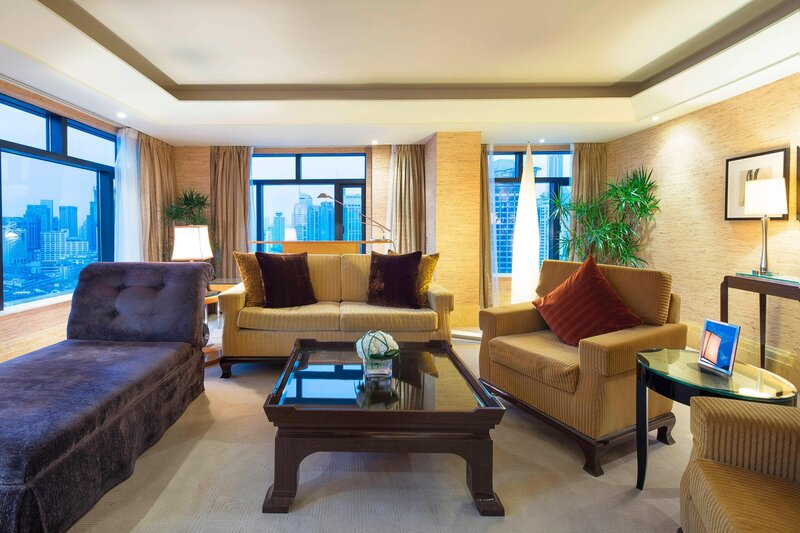 Sink into a plush WestinHeavenly® Bed, enjoy high-tech amenities and superb views of the Huangpu River and the Bund or the city and Yu Garden. 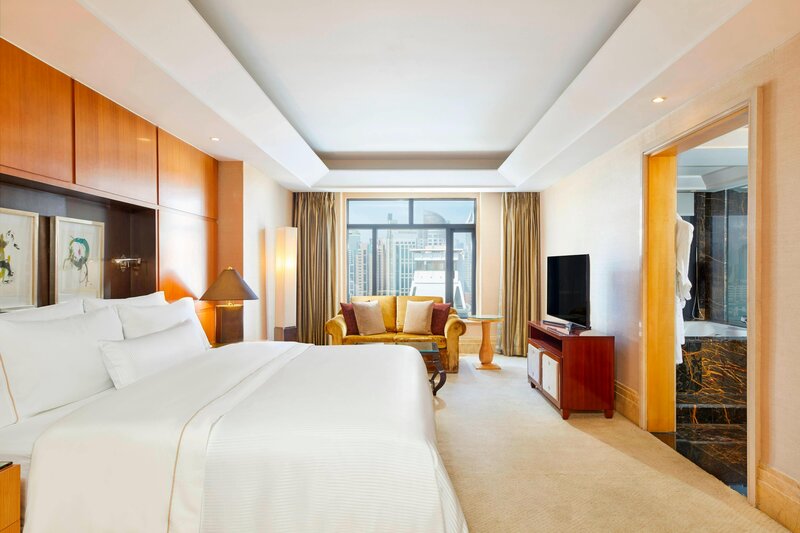 Rich in amenities for business travelers and pleasure seekers, the hotel rises above Shanghai’s historic and dazzling Bund waterfront. 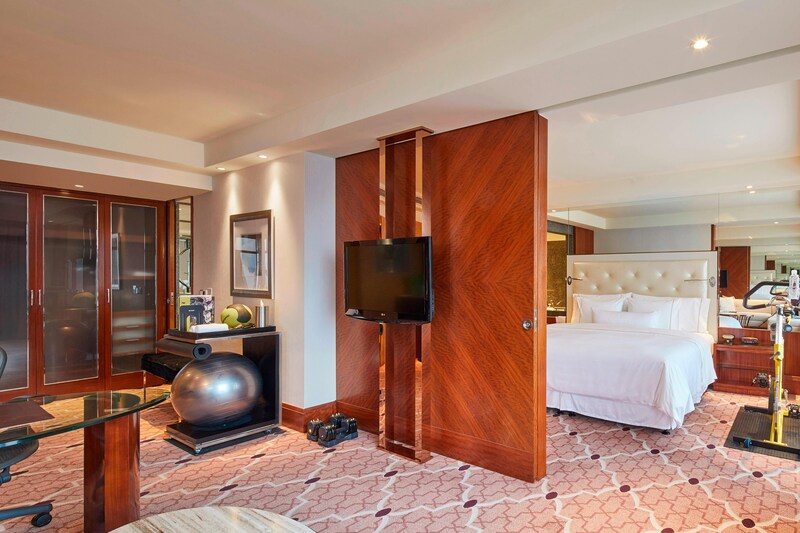 Towering 26 stories over Shanghai’s historic Bund waterfront, The Westin Bund Center, Shanghai welcomes guests with 558 stylishly comfortable guest rooms and suites. Equipped with the latest in Cybex electronic cardiovascular equipment and an extensive range of weight training stations, our WestinWORKOUT® Fitness Studio offers a wide choice of options to energize, tone and stretch. Exciting range of delectable cuisines in beautiful surroundings. Diners come for authentic wood-fired pizzas and a connoisseur’s choice of Italian wines as well a full menu of Italian classics with a modern, light touch. Bathed in natural light, the Crystal Garden serves outstanding authentic Chinese cuisine. Choose from a variety of provincial cuisines. You can even select your seafood straight from our tank. The Stage is a lively setting for casual dining with something to tempt every palate. Individual cooking stations turn out fresh fare, all to be enjoyed à la carte. Perfect for business or casual tête-à-têtes, Heavenlies—our comfortable lobby bar—offers specialty coffees, innovative cocktails, and live piano music. Afternoon tea is a delight in this lobby lounge. Niche is ideal for sunset hour cocktails or late-evening nightcaps enjoyed on a comfortable sofa or at the friendly bar. With an intriguing selection of wines and international beers as well as champagne, caviar, chocolates, cognac and canapés, our casually intimate bar offers something for every taste. Daily Treats is your one-stop shop for all the gourmet treats you can imagine. A huge, Western-style deli with glass display cases, it offers imported cheeses and meats, specialty sandwiches and freshly baked pastries as well as imported wines and liquors. With nearly a decade of experience, The Westin Bund Center, Shanghai has built a strong reputation for having hosted high-profile events for many celebrities, statesmen and Fortune 500 companies. 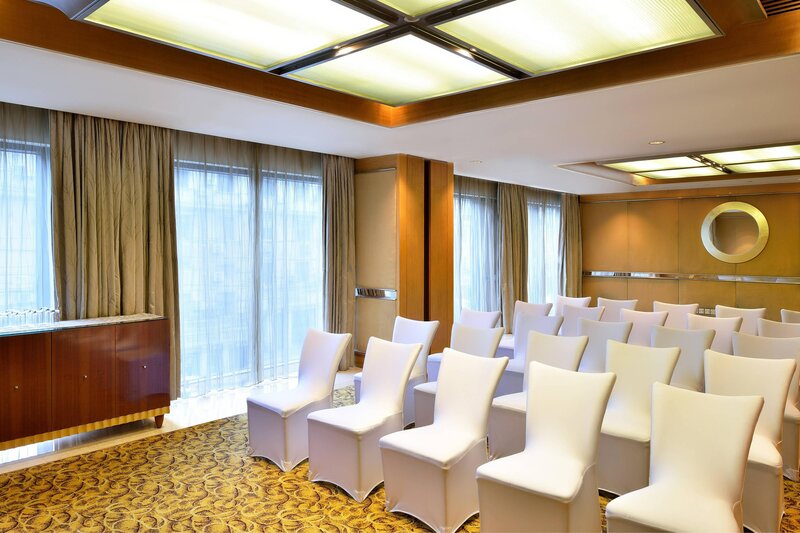 The hotel is ideally situated in the heart of downtown Shanghai and is one of the city’s most recognizable buildings. 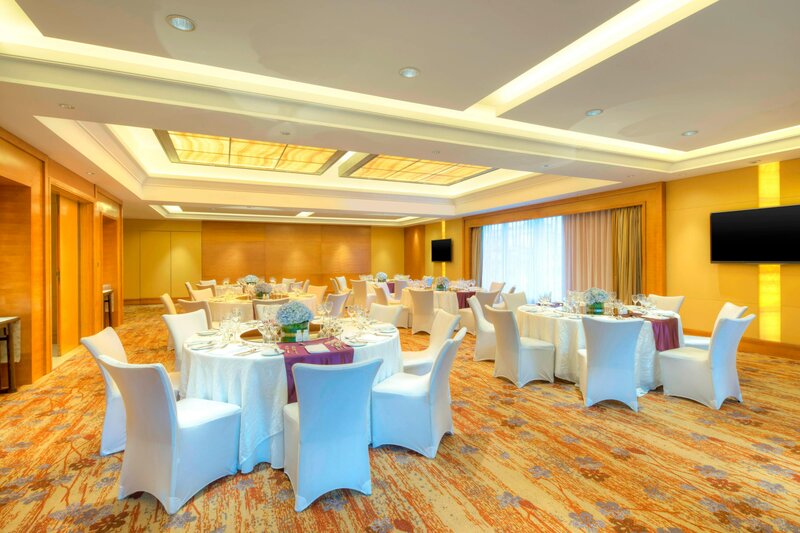 Our 18 versatile meeting and conference venues comprise a total of 1,842 square meters on two levels and are easily accessed via escalators and the hotel’s signature glass staircase.